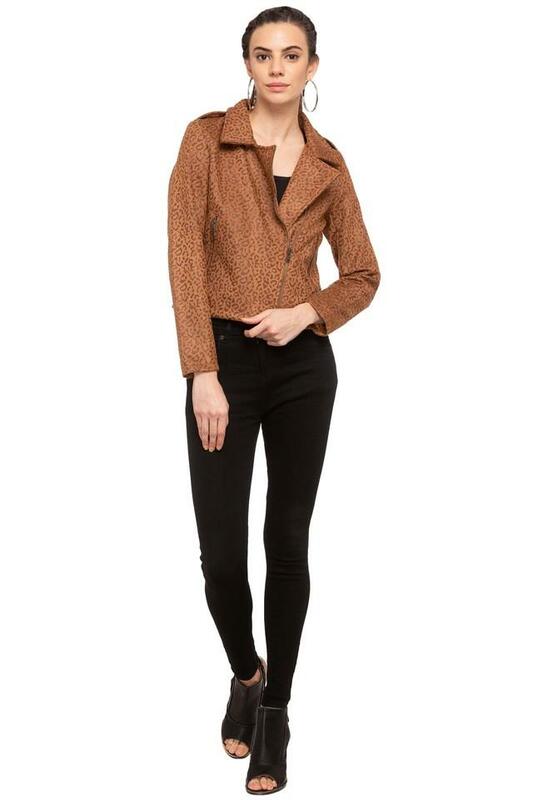 Bring out the style queen in you by wearing this jacket from the house of Deal Jeans. It is crafted with care using good quality fabric, which provides you full comfort. Besides, it features a printed pattern, which is further complemented by a notched lapel and full sleeves. 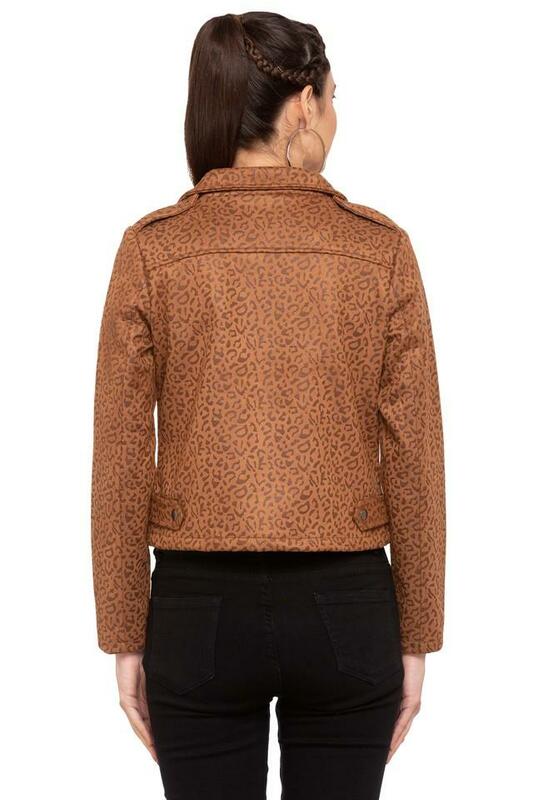 Revamp your wardrobe collection by adding this jacket. 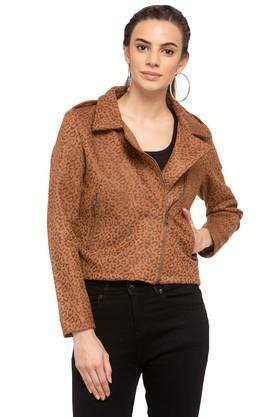 Wear it with a pair of jeans and heel sandals to be the centre of attention at any casual occasion.